The Oxford Farming Conference (OFC) has been held in Oxford for 80 years and has established a reputation for strong debate and exceptional speakers. The OFC is a charity that invests in agricultural education and knowledge-sharing. 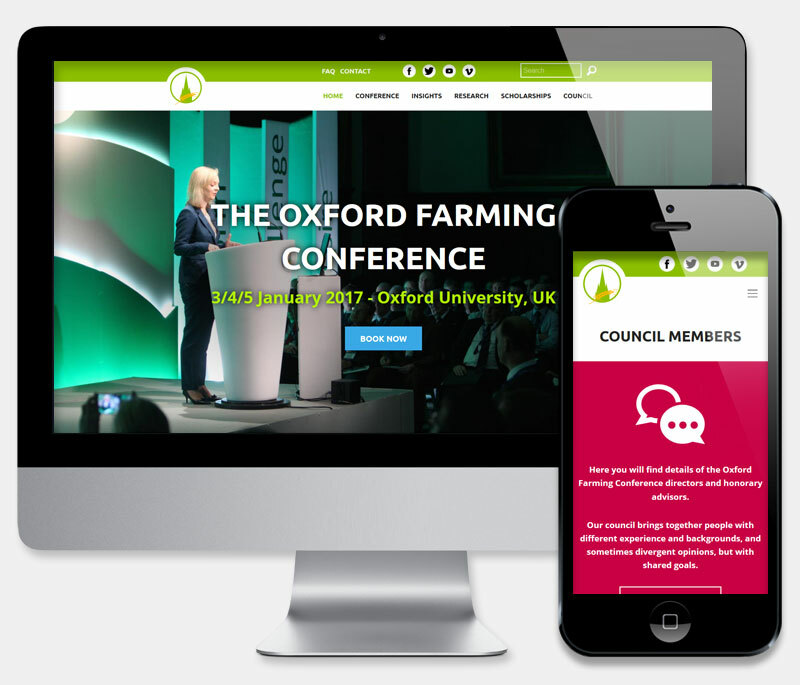 The existing Oxford Farming Conference website had reached end of life. Based on an older, unsupported content management system, a replacement website was required. The OFC wisely used this opportunity for a full re-design and audit, desiring a fresh appearance and contemporary layout, without compromising access to existing content. We created several iterative designs ensuring full use of the high quality event images available. The new site provides a superior mobile experience with unrestricted access to all content areas, whilst visitors are guided though various event options by the the intuitive Booking system. A suite of backend management tools provides insight into delegate reporting and availability. Long term website support is ensured by our hosting package and CMS longevity is provided courtesy of the latest Drupal 8 CMS platform.